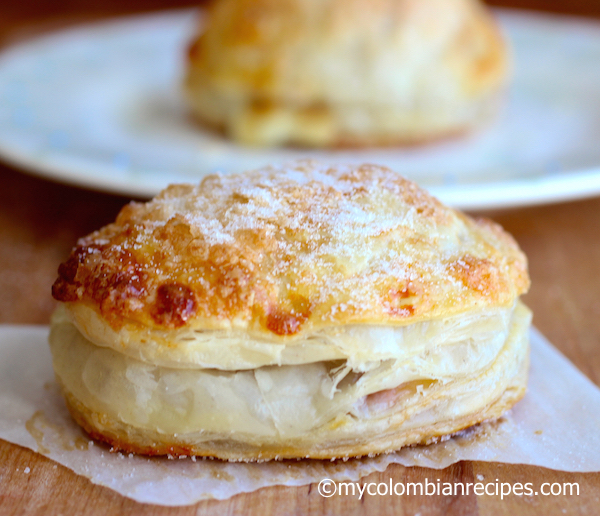 Today I would like to introduce one of my favorite traditional Colombian desserts. Which, conveniently, is also ridiculously easy to make. 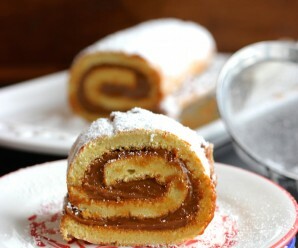 I have no idea how Pastel Gloria got its name, but it is a popular dessert in my country. 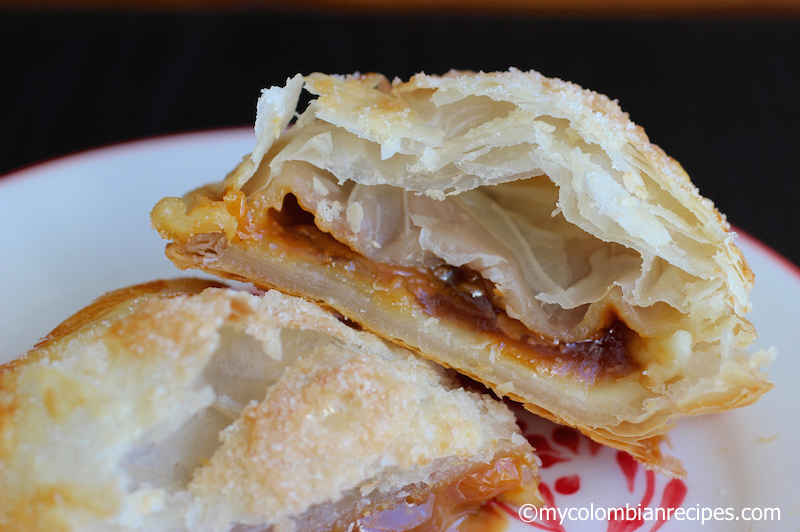 It is essentially a puff pastry filled with dulce de leche, guava paste and cheese. What’s not to like here? Flour a clean, dry counter top or other flat working surface. Lay out the puff pasty on the floured surface. Flour the top of the dough. Roll out the puff pastry until it is half as thick (about 1/8-inch). Using a large cookie cutter, cut into 24 circles and brush the edges of each circle with the egg. 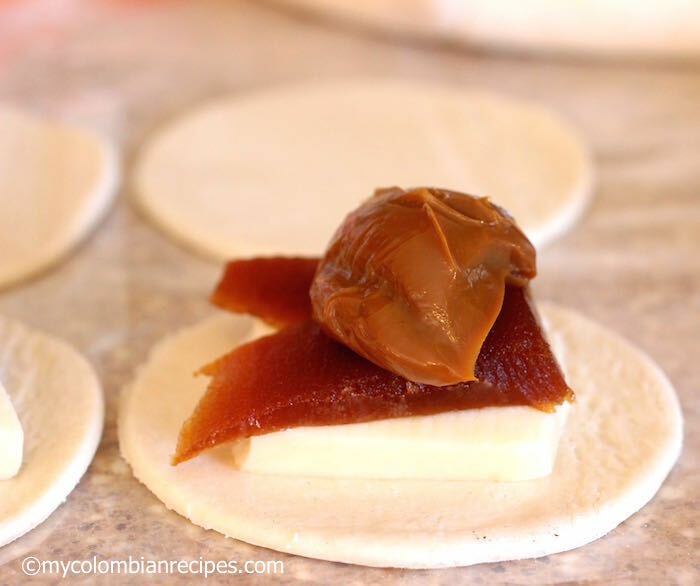 A little off center of each circle, place 1 slice of guava paste, 1 slice of cheese and about 1/2 tablespoon dulce de leche. 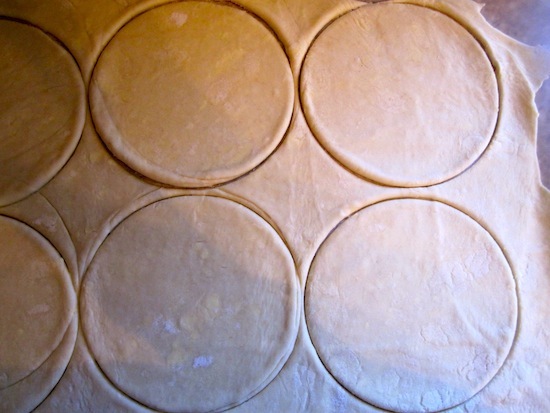 Place another circle on top to enclose the filling. Crimp the edges with a fork. 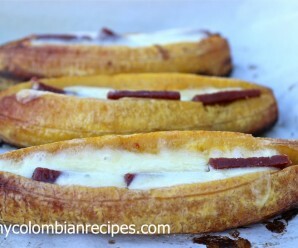 Repeat with the remaining pasteles, placing them on a parchment paper-lined baking sheet as you go. Bake for 20 minutes or until golden brown and puffy. Sprinkle with the sugar on top, then cool the pasteles on a rack for 10 minutes. Serve warm or at room temperature. 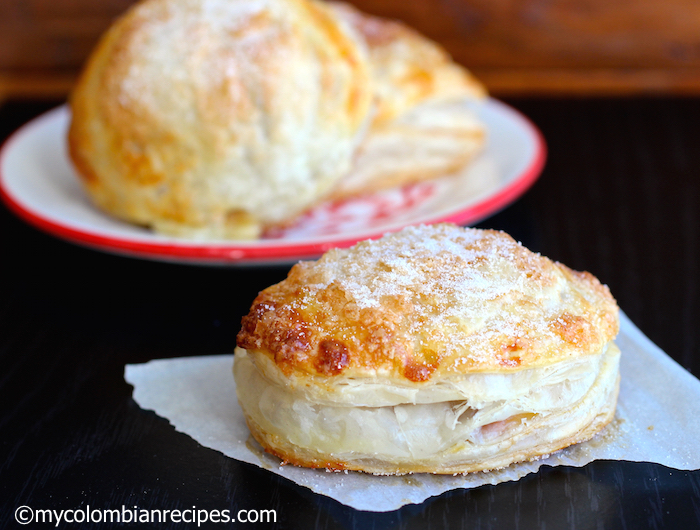 I’ve never tasted guava before but you can’t go wrong with puff pastry. It sounds good. 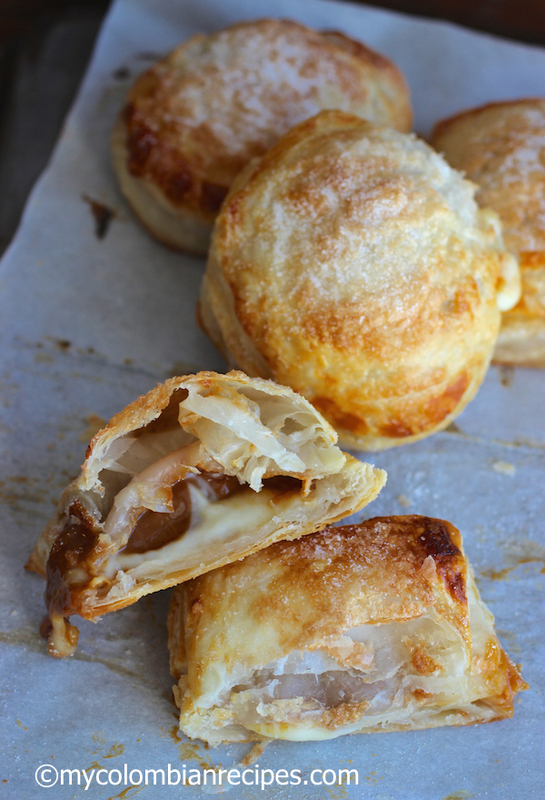 I made guava cheese turnovers using puff pastry just on Tuesday! I like that you added dulce de leches! 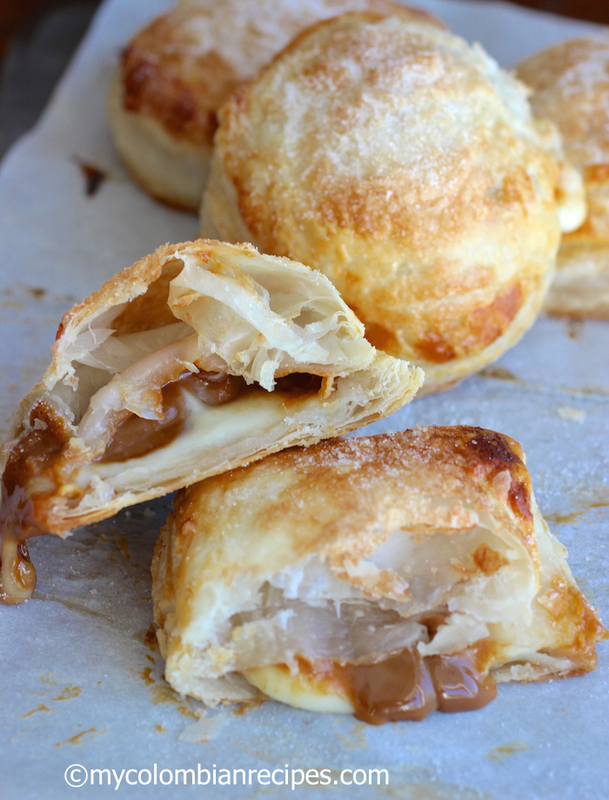 I do have a little guava paste left over….these do looks so good!! 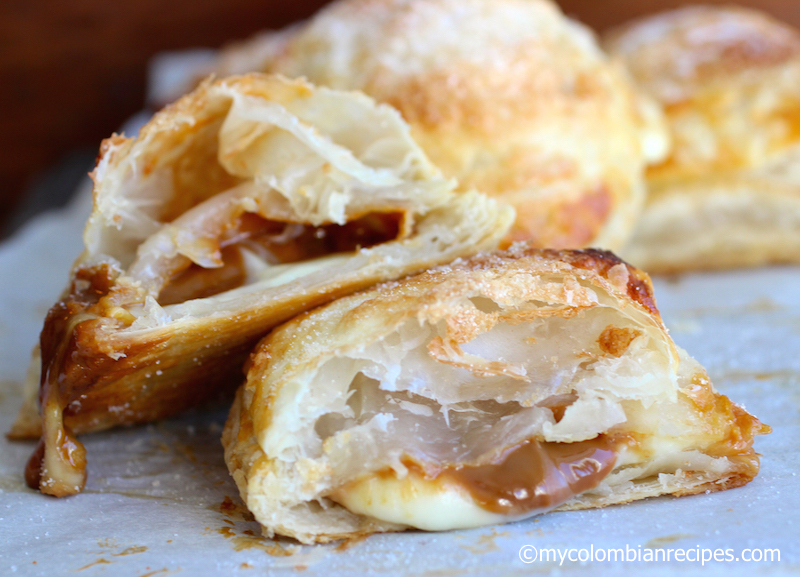 These sound wonderful with guava paste and dulce de leche! I will try this combo right away! They look so good! I used to have these back in Medellin as a kid in elementary school. I can’t think of anything not to like here. Three of some of my favorite flavors. What a lovely cheese pastry. I love your use of guava. We are going to plant some guavas in our yard this summer. I can’t wait to make a guava jam. Thank you for introducing me to a wonderful Colombian dessert. Thank you all for taking the time to leave a comment! There are no words! I have to make this one! I have always assumed guava is a kind of fruit which we eat fresh on its own. I have never came across this kind of guava paste. Looks delicious with the pastry. Btw, thanks for visiting my blog:D Cheers! You are so good at making me drool uncontrollably it’s unbelievable. These look amazing! I love that filling. 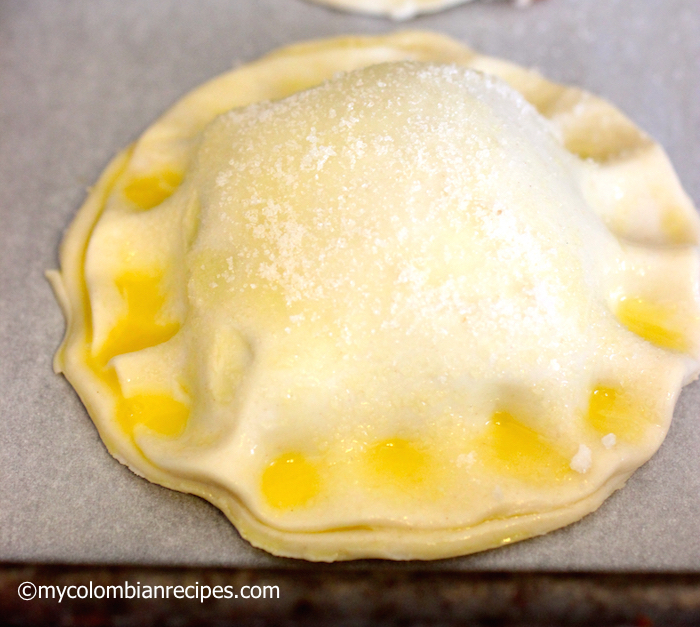 I had heard of this pastel, but did not know how to make it! Looks and sounds irresistible! Oh Erica, You combined all my favorite things in on place. Yummmmmmm. Looks “glorious” LOL. Waw,…Erica!! What beautiful stuffed pasteles!! Qué pasteles magníficas! Están deliciosos! We have one in Puerto Rico too Right now I am waiting for my coffee to perk and not even a “huevo” in my fridge. These are making my mouth water. Wish I had one right now. 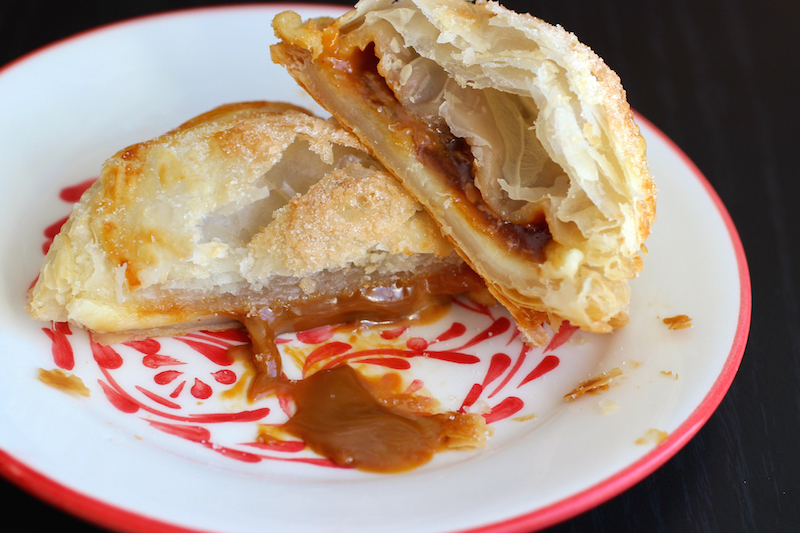 Guava and dulce de leche with puff pastry….o..that just sounds irresistible. Wow, this looks so good. One of my best friends is from Colombia and she said something about putting cheese in hot cocoa too. Sounds good to me! This looks dangerous! I used to eat jam filled pastries all of the time, and this looks like something I would go crazy over. Oh my, you are trying to get me in trouble with all these delicious sounding recipes. This one looks heavenly! This is pure decadence! You are really tempting me here. 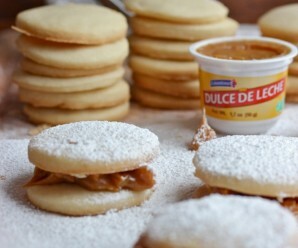 I’ve had dulce de leche and guava and cheese, but never all three together! Sounds good and the pastry looks great too. Is it possible to prep the pastries and then freeze/refrigerate them to bake later? BTW: I am making the popsicle recipes this weekend! These were fantastic. I prepped the the day before and refrigerated them, which was no problem. They came out perfectly. 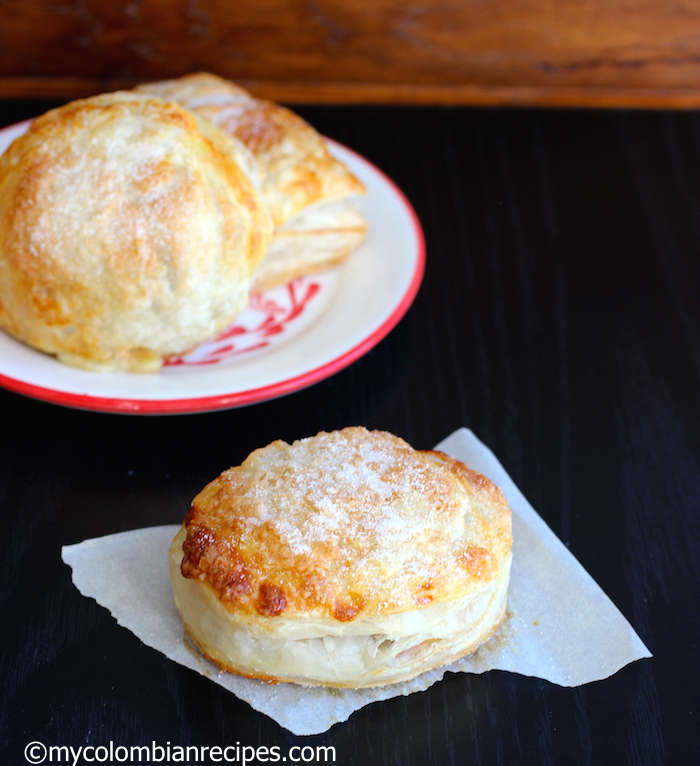 Don’t each any guava pastries straight from the oven! The sugar content makes them way too hot to eat. Also works great with long rolls. Take a typical puff pastry box of two sheets pre-folded in threes, cut into the six sections and roll out to 1/8 inch thickness, and make three long rolls. OMG!!!! tengo que hacer estos ASAP! thank you for the recipe!!! I have a Columbian ESL student. For our end-of-the-year class, I invited him and his family to dinner. These pastries were the #1 hit. I used many of the recipes on this site for the meal I served. There were very few things that weren’t a delight to them.